Have you lost PST password? Are you looking for a way to unlock PST file without having the correct password? You’ve come to the right place at the right time. PST password recovery ain’t an easy task for Outlook users. But with a professional Outlook Password Recovery tool, you can effortlessly reset PST password in order to open password protected PST file. In this very article, I’m gonna help all those Outlook users who’ve lost PST password. While handling highly sensitive data, it’s your responsibility to keep it secure. The PST (personal storage table) file is highly valuable for any Outlook user. The personal storage table is responsible for maintaining all the email messages and attachments, contacts, calendar entries, tasks, notes, and much more. In order to prevent unintentional intrusion by other users who share your computer, you can set a password for the Outlook data file. If the PST file is secured with a password, the password prompt appears whenever you start Microsoft Outlook program. How to Password Protect PST File? Password protection on the computer data makes it more secure and invulnerable against any type of threat. Let’s suppose you’re on a shared computer without separate user accounts. You don’t want the other users to look at your private emails. You can simply put a password to protect your PST file. In order to password protect PST file, Outlook uses a CRC32 algorithm that generates a 32-bit hash value to signify it. First, launch Microsoft Outlook on your system. Now on the taskbar, click File tab > Account Settings > Account Settings. On the Account Settings dialog box, click the Data Files tab and select the Outlook data file which you want to password protect. Click the Change Password… button to apply a password on the PST file. Now enter a password. You can assign any type of password. Then re-enter the same password to verify it. Also, you can save this password in your password list. In this way, you can password protect PST file with ease. Now you’ve set a password to protect the mailbox data of the PST file. Remember, you need to enter the correct password every single time you start Microsoft Outlook. Tip #1: First of all, make sure you assign a strong and case-sensitive password that includes both uppercase and lowercase letters, numbers, and symbols. Keep in mind that a long and complex password definitely improves the password protection. Tip #2: It’s very important to remember the password you assign for the Outlook data file. Because if you lose or forget it, Microsoft can’t retrieve it. So it’s always better to write down the password on a diary or somewhere else. Also, your computer can remember the password so that you don’t have to enter it each and every time you open the PST file. Have you lost PST password? Computer users don’t often realize how easy it is to forget the exact password they’ve chosen earlier. It’s very common to lose or forget passwords of Outlook data files. And many of us often feel guilty for forgetting a password. Whenever you lose or forget a password, you can’t open the PST file. And when you try to open password protected PST file with an incorrect password, you receive an error message saying, “The password you have typed is incorrect. Retype the password”. If you’ve forgotten or lost PST password, I’m sure you’re going through a very difficult time. Keep in mind that there’s no way to open password protected PST file until you enter the correct password. But since you’ve lost PST password, how would you retrieve it? You can easily get the correct password if you’ve written it somewhere. But if there’s no way to restore the lost PST password, you have to use a professional Outlook Password Recovery solution. A third party tool can’t recover the original password, but it can unlock PST file by providing a new password. There are many vendors in the online marketplace which provide PST Password Recovery software. But make sure you choose the best before making any kind of purchase. Important note: Microsoft provides “pst19upg.exe” utility that can help you remove password from an ANSI PST file created by Microsoft Outlook 2002 and earlier versions. But it doesn’t work with Unicode PST files created by Microsoft Outlook 2003 and later versions. The Outlook Password Recovery tool provided by Shoviv Software is one of the best password recovery solutions for Outlook users. It supports almost all Microsoft Outlook versions which include the latest 2016 (both 32 & 64-bit). Since the PST files are usually protected by using a very weak encryption algorithm CRC32, this tool can easily crack PST password in just no time. Via this software, you can successfully recover multilingual passwords of any length and complexity. The simple and interactive user-interface of this software helps you restore lost PST password smoothly. Being an easy-to-use application, it requires no prior technical expertise. Any technical or non-technical user can use this software with ease. Before purchasing the licensed version of PST Password Recovery tool, you must download its demo version for free evaluation. By using the demo version, you can unlock PST file whose size is up to 200 MB. In order to avoid this limitation, you should place an order for the licensed version. 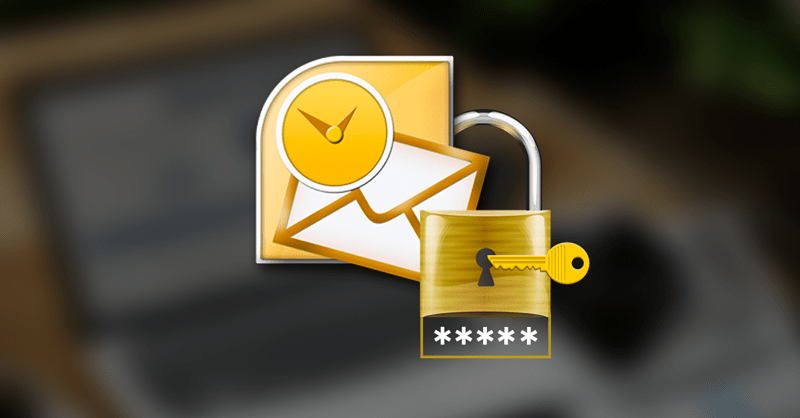 In this article, we’ve learned the importance of password protection on the Outlook data file. Also, we’ve learned how to password protect PST file. And sometimes it may happen that you lose or forget the PST file password. In such a situation, you need something to unlock PST file. 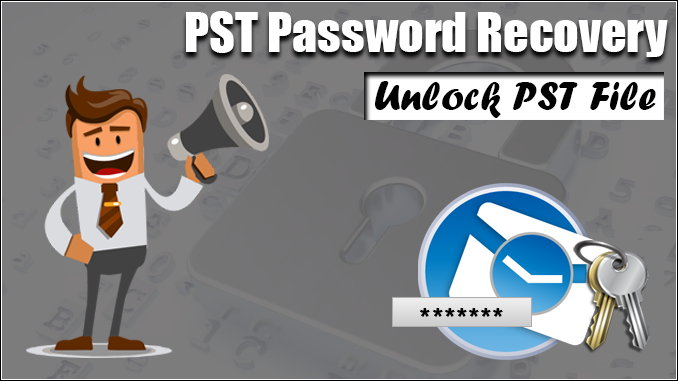 The PST Password Recovery tool provided by Shoviv Software is an award-winning solution to crack PST password without causing any alteration to the file.